﻿Please help us make this major event happen by donating your time. Volunteers receive undying gratitude & free admission! Adult Tickets are $10 in advance or $15 at the door. Tickets valid for both nights and are a donation to support arts education in our schools! 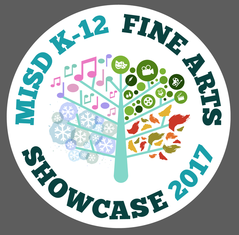 Knowing that your added donation supports additional items and opportunities for students of the Fine Arts! Donations may be made through the Registration Page. Art displays by students in art classes & every elementary student in the district!